I’m so excited to start sharing the stories behind the 2016 Beyond Words author calendar. Each is unique, and there are many parts that brought together the final product. I’ll be posting a new blog every week for twelve weeks, going over each photo. Don’t forget to grab a copy; the proceeds go to charity, so it’s for a great cause! I wanted to kick off the series with the cover image, which also happens to be the month of September in the calendar: Tony DiTerlizzi! Tony is best known for co-writing The Spiderwick Chronicles with Holly Black, and he has a ton of other cool things out, including my personal favorite, the WondLa series. 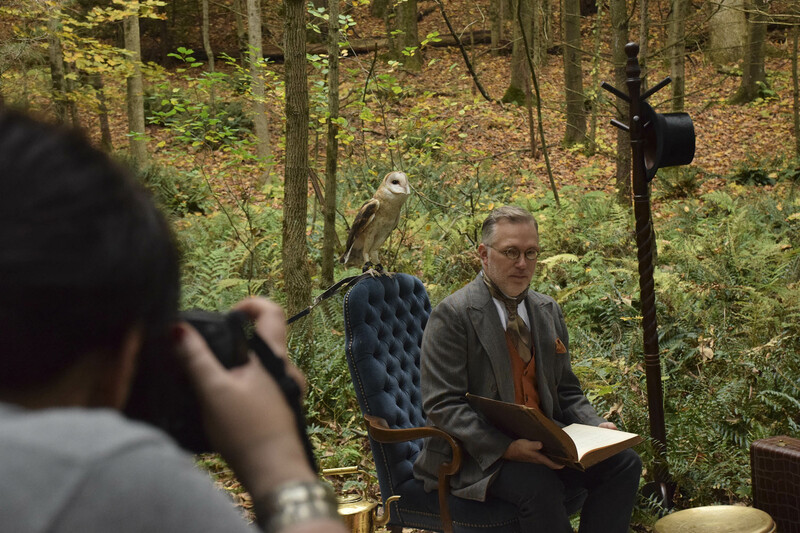 When I was at Tony’s house getting his measurements we discussed ideas for his photo, and when he said he’s comfortable around birds (one of my favorite props) the image of a bird storyteller popped into my mind immediately. 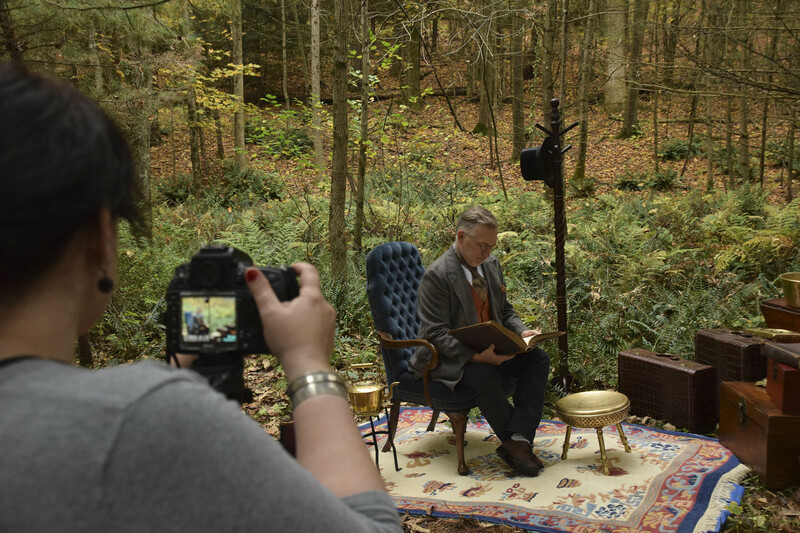 I saw this storyteller reading to his bird friends in the woods. Tony loved the idea, so I went with it, and the planning began. We talked about trying to shoot in the fall, and I planned Tony’s outfit around autumnal colors. 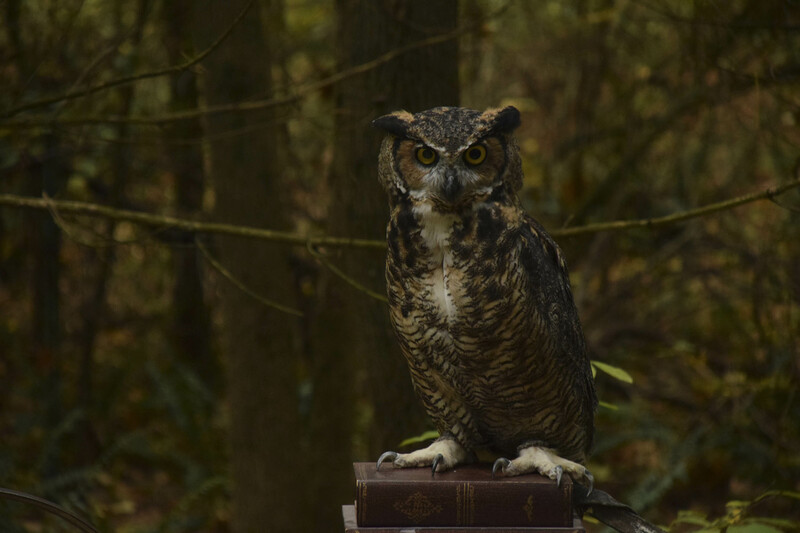 I got in touch with a local falconer and was able to acquire her time and her incredible diversity of species. 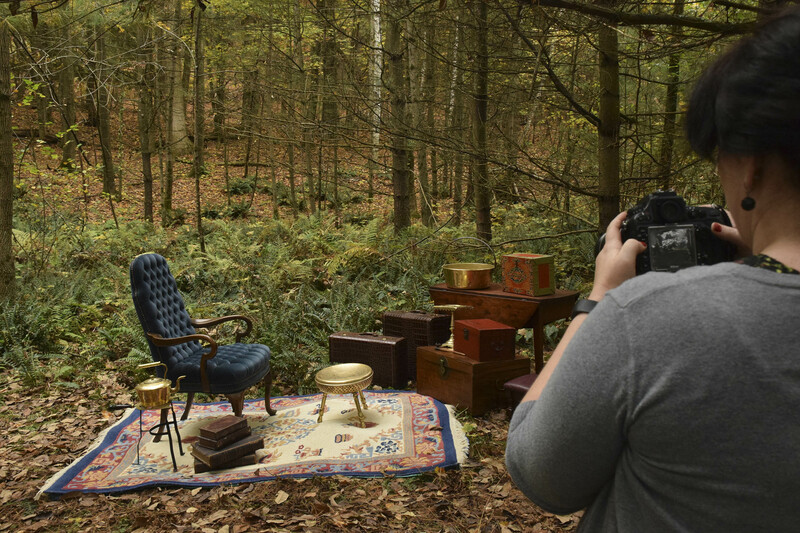 She also happens to collect antiques, and once I told her the general vision of the photo she let me use some of her unique, gorgeous pieces, which made the photo look even more magical. The final image took a lot of work, with all the blending of the different layers. But It’s one of the most magical images in the calendar this year, which is why I chose it for the cover. It embodies the essence of this project, the fun and whimsy I was aiming for. Stay tuned next week, I’m going to go into the details of Kami Garcia’s photo. And don’t forget to grab a copy of the calendar! 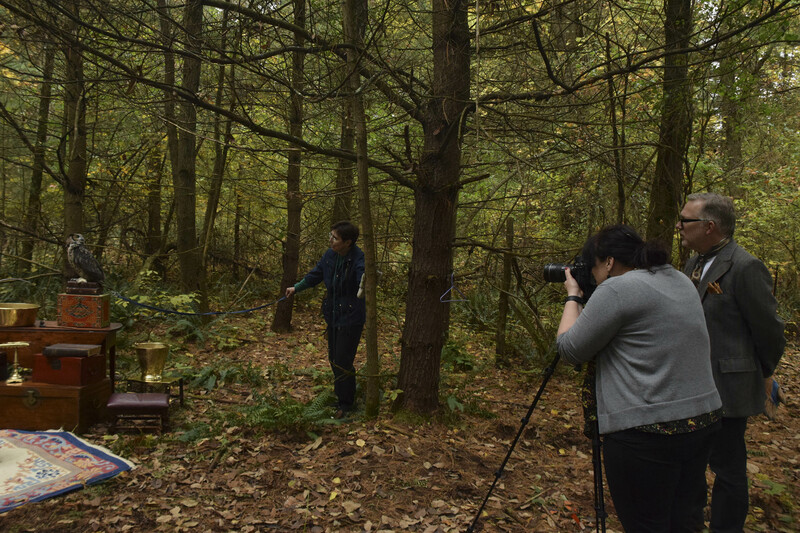 Special thanks to Joe Dulude for taking some great behind-the-scenes images. There were many fun ones to pick from!